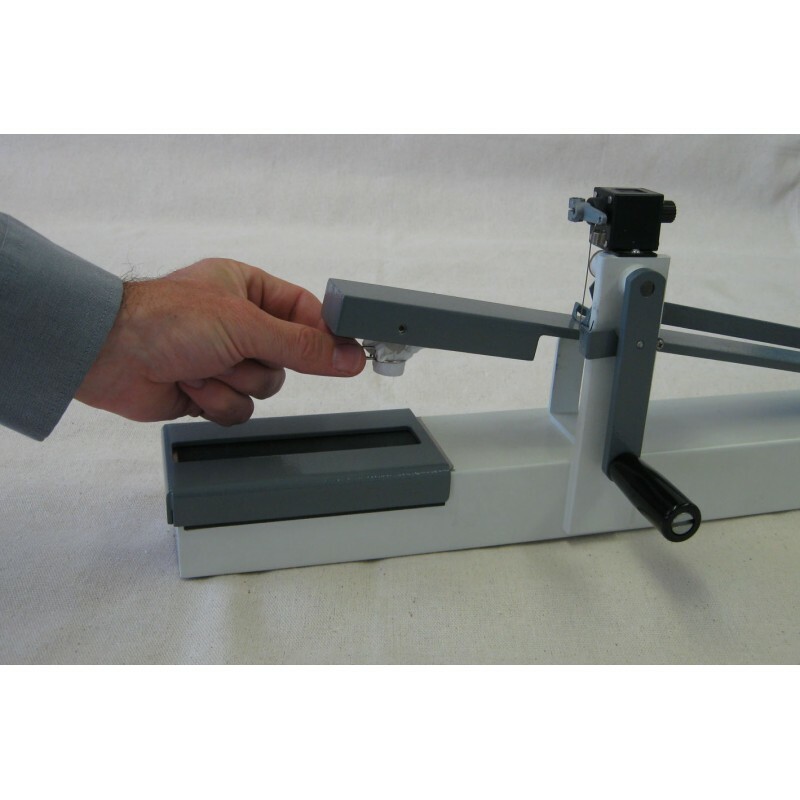 The Crockmeter is a manually operated rub tester that offers a 9N load and approximately 100mm stroke length. Unit is shipped assembled and includes: crocking cloths (1000 pkg.) and sandpaper sheets (2 ea). 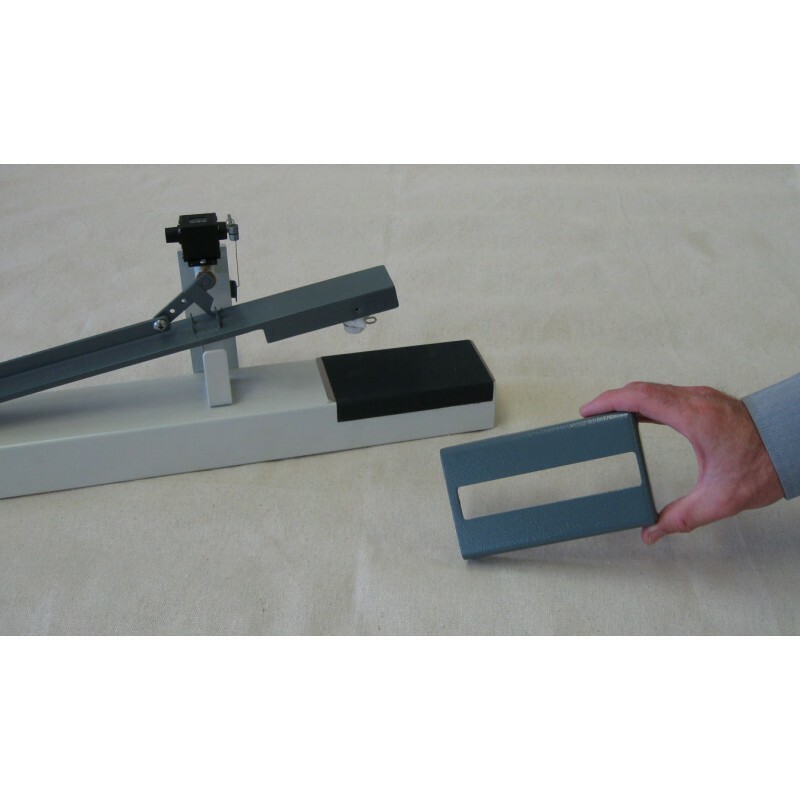 The Crockmeter provides a quick method to determine the amount of color transferred from textile materials (such as fabric, carpeting, yarn and leather) to other surfaces by rubbing. 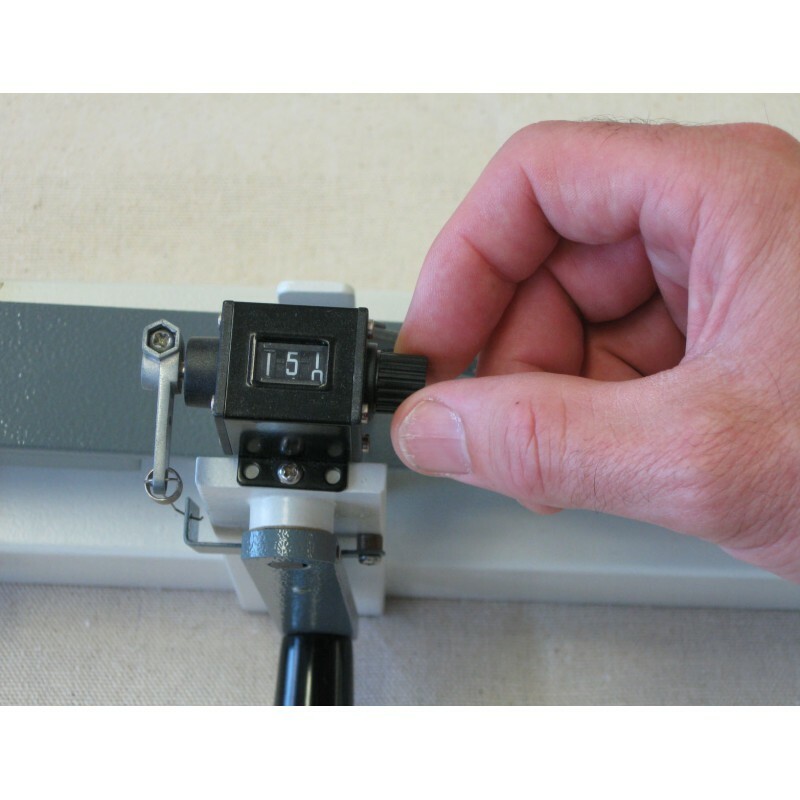 The Crockmeter has also been employed to perform rub abrasion, scuff and / or mar tests on flat specimens. 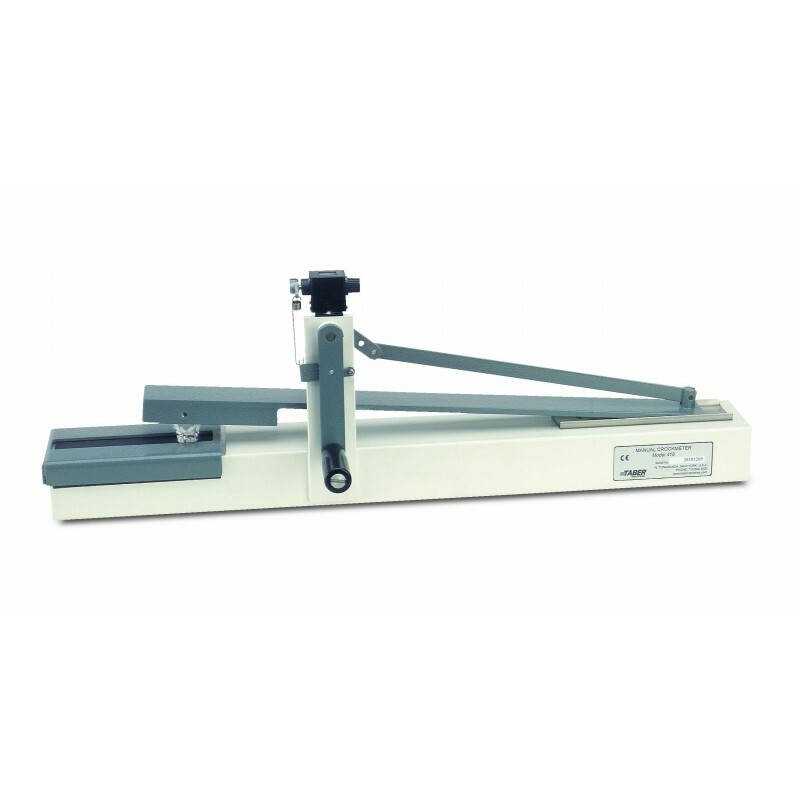 Plus, it can be used to conduct smudge and smear resistance tests on images produced by a printer or copier.